Co-operatives are democratic businesses owned and run jointly by its members, with profits and benefits shared among them. It is an ideal business model for enterprises interested in supporting local economic and community development. 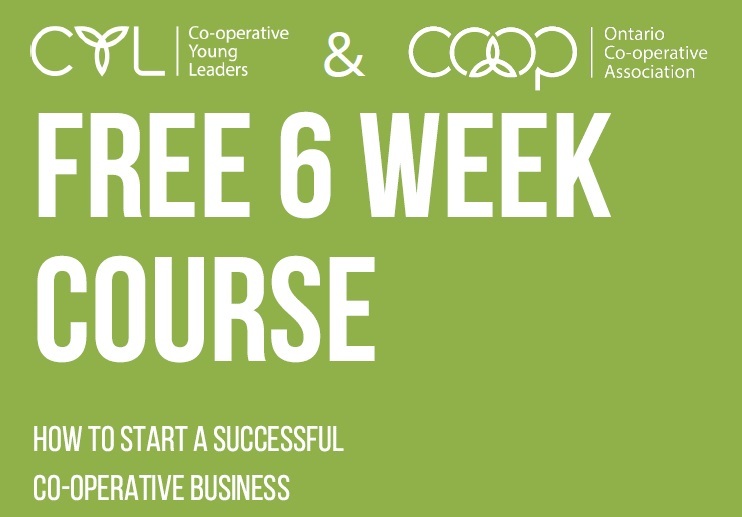 First, the Co-operative Young Leaders (CYL) and Ontario Co-operative Association (OCA) are offering a free 6-week course on how to start a successful co-operative business, available to anyone between 16-29 years of age who is interested in starting a business that benefits their community. The course, sponsored by the Libro Prosperity Fund, begins October 25, 2018 and runs every Thursday night for 6 weeks from 6-9 pm at The Atrium at 28 Princess Ave in St. Thomas, Ontario. To sign up or for more information, contact Erin Morgan at OCA today! OCA is also leading a series of interactive 101 sessions in Huron County and Kitchener-Waterloo on the co-operative business model through a social enterprise lens. Attendees will enjoy a comprehensive overview of the co-operative model including start-up, incorporation, and financing, grounded in relevant examples of local, successful co-operative businesses. To learn more about co-operatives and social entrepreneurship, contact a social enterprise coach in your area.